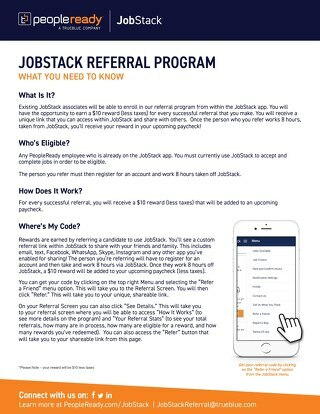 The PeopleReady resources you need to start working. 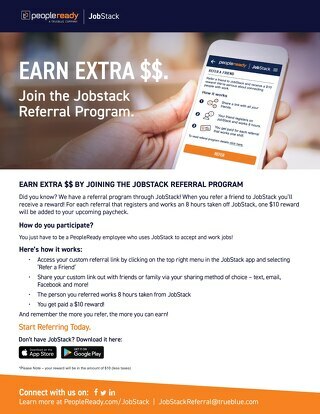 Looking for work that fits your lifestyle and schedule? 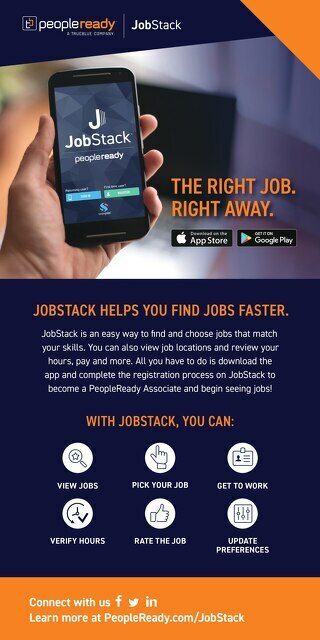 Let JobStack help connect you with the jobs you're looking for, all from the convenience of your phone!